Gone are the days of being limited to a handful of news sources as we now reference a diverse range of mediums to stay informed, known as our media diet. Businesses should reframe their approach to marketing in 2018 by aiming to become a part of the media mix their customers consume on a daily basis. It doesn’t really matter whether you reach consumers with a podcast, sponsored post on their favorite blog or on social media as the point is to become a trusted source of information they regularly reference. In 2017, two-thirds of U.S. adults got their news from social media illustrating how these channels have become one major part of a person’s daily news consumption. This habit is likely to evolve with Facebook’s recent algorithm update, but we won’t know the full impact of this change until it’s implemented. Reaching your desired audience once with content can drive results, but what’s more impactful (yet more difficult to achieve) is becoming a consistent part of their routine. Here’s how to better position your company’s messaging to become a vital part of your customer’s media diet. Becoming part of your customer’s media routine doesn’t mean you should aim to share breaking news about business, politics, world events or another topic as that’ll likely fail. The major publishers have huge news teams and resources to cover breaking news like Bloomberg covering business, Washington Post on politics and world events covered by CNN, which is why it doesn’t make sense to compete on that front. 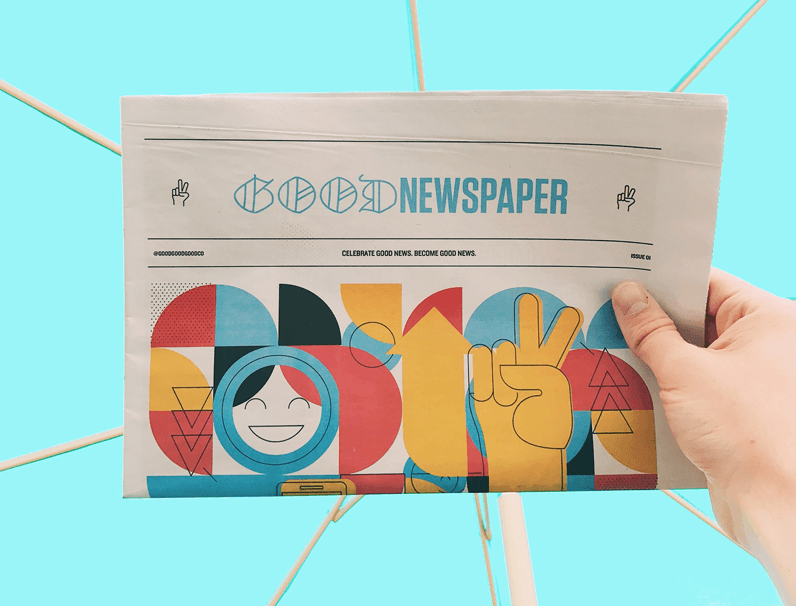 Creating one of these types of content can help compliment the news in your niche as one part of a customer’s media mix, but not directly compete with it. What makes a media brand a success is its ability to get readers to seek out their coverage due to their original reporting or distinct perspective on a certain subject. And that’s what your content should aim to do too. The goal is to provide an angle to your content that isn’t covered elsewhere, related to your offerings and that’s definitively valuable to your customer base. Knowing which sites your audience is getting their news from consistently can provide direct insights into the content types they prefer, the topics that interest them, political affiliations, their age range and more about who they are. For example, if a person primarily reads GQ, Nylon and Reductress as part of their media mix, they are likely very different from a person that mainly reads TIME, MSNBC and Gizmodo to get their news. There are two ways of determining which news sites your audience visits, the first is by monitoring the behavior of a small group of customers that represents the different buyer personas your company serves. Access your CRM or customer database to identify 10-30 customers worth reviewing to see which sites they visit. Review their social media profiles to take note of patterns in the sites they’re sharing content from, whether that’s on LinkedIn, Facebook or Twitter. The second option is to create a short survey and send it to your existing audience to learn about their media preferences through your email list, by paying for its promotion on social media or through an SMS texting campaign. Analyze this list of websites to determine what’s distinctive about each as it applies to your customers and do your best to incorporate your learnings into your own approach. For instance, if the tech site Recode was often visited by your audience, you might take note of how this publication only publishes a few times daily. To duplicate this, you might alter how frequently you’re publishing content to spend more time choosing the right stories for your readers, not all the stories. If your audience was into Refinery29, it might be worth learning from their approach to having celebrities like Drew Barrymore and influencers like YouTuber Tess Christine create content on behalf of the brand. To expand the reach of your content, review the list of sites your audience is already visiting and begin advertising and partnering with some of these blogs and publications. These sites are widely trusted and your organization can improve your reputation by associating with these institutions in a meaningful way. Becoming a part of your audience’s media regiment isn’t easy as it requires the consistent creation of content with a compelling viewpoint. And from there, that content must be widely distributed for the long-term to reach your customers with this information. Many companies falter at content marketing as they quit too soon or it’s masked advertising to encourage their customers to buy their offerings. Altering your mindset as a marketer can help position your content to become a key part of a consumer’s daily media diet and foster long-term trust with your brand.